Ever since I can remember I've always been a neat freak. Books had to be in size order, my school bag would have to be organised and my bedroom was the worst headache ever. Now I'm older I seem to of gotten worse, I redecorate three times a year, in-between I am touching up walls with a paint brush, forever re-organising furniture and cleaning up and I don't think it's normal to be stressed out by my home. It can lead to tears and loss of sleep if I don't think my room is clean enough and wonky canvas' drive me crazy. 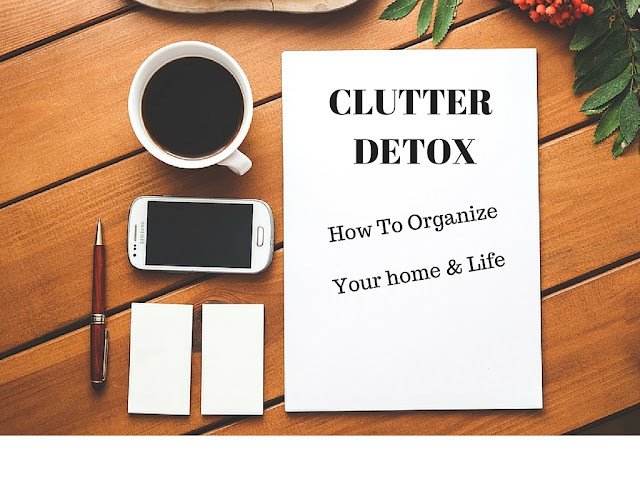 I thought I'd put this post together to share with you some of the idea's I've come up with to help banish clutter from my home and hopefully they are useful to you too. I mean, surely there's someone else out there that feels the same way as I do about clutter and keeping a tidy home, right? Here's just a few ways you can start to banish clutter from your home; I may do further posts on this if you'd like to see more organising tips here on Fresh Faced Bliss. Those batteries and pens that no longer work, broken key rings, takeaway menu's, old mobile phones and manuals to the microwave you owned in 1973 need to go! Thankfully, there are donation boxes in many supermarkets for you to dispose of your batteries and old mobile phones - Argos even pay out for old mobile phones - as for everything else, they need to be thrown away! However, if your drawers are full of things that you often use or need then drawer organisers are definitely the way forward, they make drawers look less cluttered and it's easier to find the thing you are looking for. Too many magnets, photo's and reminders on a fridge door can make your kitchen look very messy. 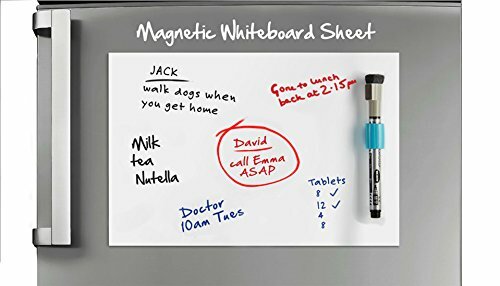 One simple magnetic wipe-able board is all you need to jot down your shopping list or reminders on. Most of the time when the mail man arrives he has a stack of bills for us, but then again it could just be junk mail and takeaway flyers. Instead of throwing the letters on the side or letting them pile up, each and every day put them in a mail storage rack like this, then when you have 5 minutes, sort out the junk from the important mail, shred the junk and store the important stuff in a file organiser. 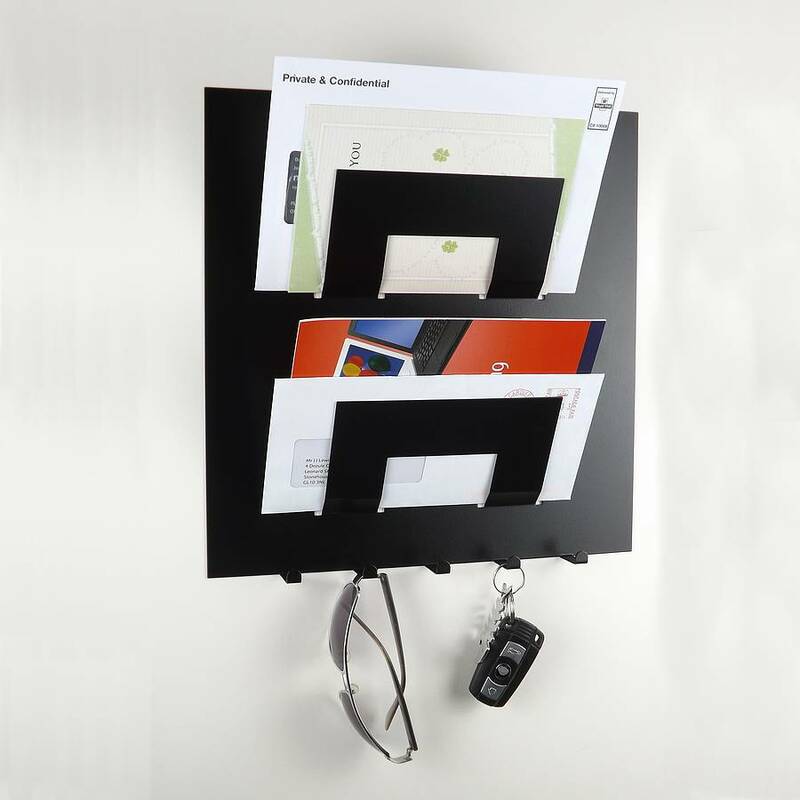 This is also handy for hanging up your keys, never lose your keys again! Some may say that books are 'Good Clutter' but I have to disagree. I don't think it's necessary to have every book you own on show. A few books that you maybe haven't read yet, or a shelf with your favourite books on is all you need. There isn't a reason we should have 1000's of books in our homes. 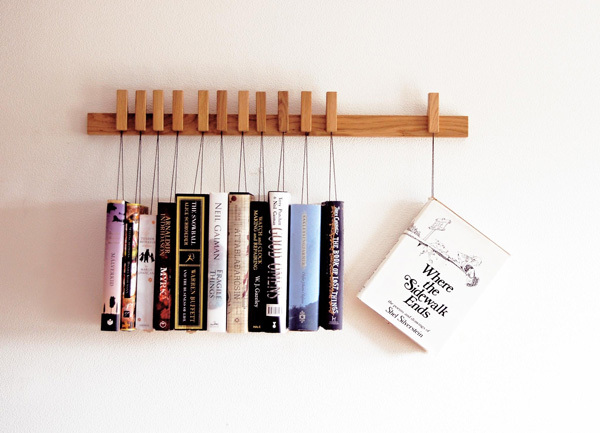 This modern day minimalist book shelf looks just right, the perfect amount of books and it doesn't look cluttered. If you enjoyed this post and would like more of this sound of in the comments! I'll show you how to organise your wardrobe, kitchen and every other room of your house. After all, An organised home is a stress free life.